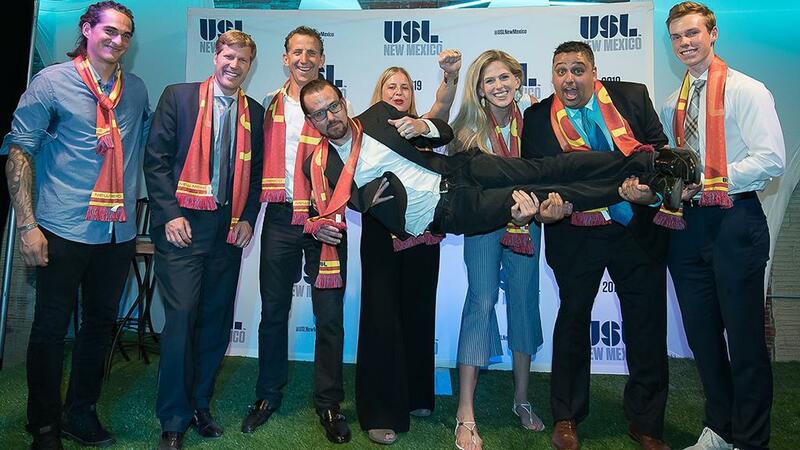 So says the entrepreneurial mind of Ron Patel, who has helped manifest expansion USL Championship club New Mexico United into what it is today alongside NMU Owner Peter Trevisani as it approaches its inaugural season next month. While Patel can still recall the early days of working out of a warehouse during the cold winter times of Albuquerque, his perception of New Mexico United is that it will become far greater than just a soccer team. Patel’s grand wish for the club does not come empty. Along with his vision, it follows more than a decade-long period of experience in building businesses while also serving the community. His food delivery business creation was acquired by GrubHub, a Chicago-based national online, mobile food-ordering company. 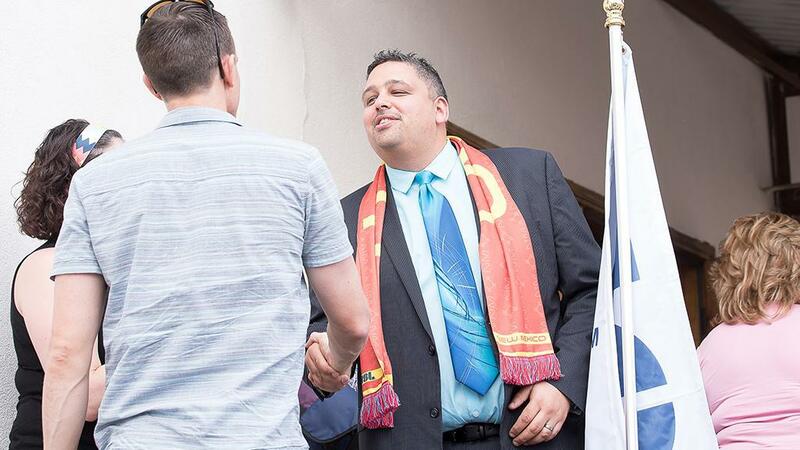 More recently, he stepped down as president of USL League Two club Albuquerque Sol FC, which he co-founded more than five years ago. That experience has been a major plus in placing United in the New Mexico marketplace, which has quickly found a foothold in not just Albuquerque, but across the state it represents. Patel’s wisdom speaks for itself through New Mexico United’s success so far. As the club approaches its inaugural home opener, the club has more than 2,000 season-ticket holders, a number that continues to grow by the day, and a number that particularly stands out for an expansion team. It’s an achievement that Patel is particularly proud of, as is his association with the USL as it has grown exponentially since the Sol first kicked off in 2014. The limited time-frame marked by March 9th, the start of 2019 USL Championship season, shows the demand for adaptability while working in Patel’s position. As the Vice President of Sales & Partnerships, Patel has been charged with building a strong, long-term platform that is aiming to mirror the business success of its new Western Conference rivals Sacramento Republic FC, Phoenix Rising FC and San Antonio FC. It’s a job that can be challenging, but Patel’s experience has the club moving strongly in the right direction. Reflective of their innovative spirit is how New Mexico United has developed so far. Before the club had a name, it had a player. In fact, the team announced Albuqueque native Devon Sandoval’s signing during its official unveiling as the newest member of the USL Championship last June. It has since made other moves that have turned heads, like partnering with an art collective Meow Wolf as its primary jersey sponsor, one of the most unconventional moves the league has seen but one that drew national headlines. Ahead of this innovative curve is Trevisani, and it seems as though agreeing to a sharp shift from being his only boss for 12 years to now having someone determine his work flow turned into a smooth run for Patel’s career in soccer. Acknowledging that what the club aims to do is much bigger than the game itself and that soccer is merely the club’s vehicle to fulfill the mission of bringing New Mexicans together – which brings comparison to the resounding success of Sacramento Republic FC since its launch earlier this decade – the value placed on bringing passionate people on board is placed at a much higher rate than simply functioning to compete in the market. “We don't just hire based on skills, we hire based on passion, and ability, and we hire based on the person,” said Patel, who has dedicated his success to a consolidated team effort. Those efforts are paying off handsomely so far for the club. By aiming to bring people together in ways that they haven’t been before, New Mexico United has already partnered with over 17 organizations so far. Placing a value into the community, the club’s partners include numerous local hosts such as Positive Energy Solar, Abrazo Homes, New Mexico United Orthopedics, Elevate PHW, and more. 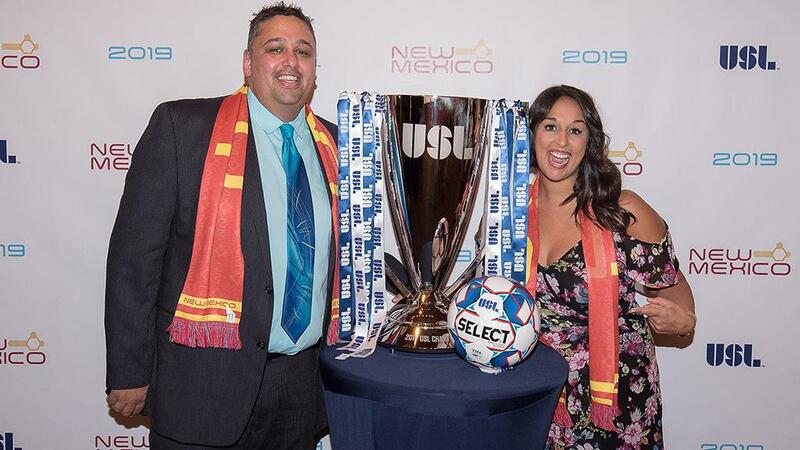 As the USL Championship continues its exponential growth, with USL League One and League Two alongside it, Patel believes the league’s organization has never been better positioned to allow clubs like New Mexico United to thrive both locally and nationally.